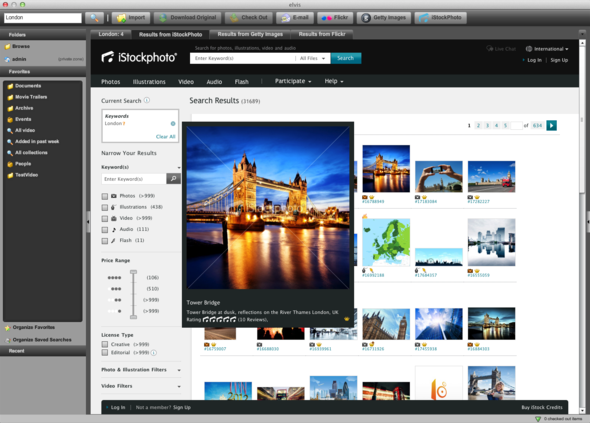 We've included a simple set of plugins to search external sources, in three different flavors: Flickr, getty and iStockphoto. Say you're searching for pictures of famous landmarks in London in your Elvis server, but you're just not finding the results you need. You're going to have to scour some external sources to find that perfect picture. Instead of leaving your Elvis client for a web browser to start your search all over again, simply search in your favorite image repository in a new tab next to your Elvis results. Note: These sample plug-ins are available on Github. They will need further customization by one of our partners to make them suited for production use. 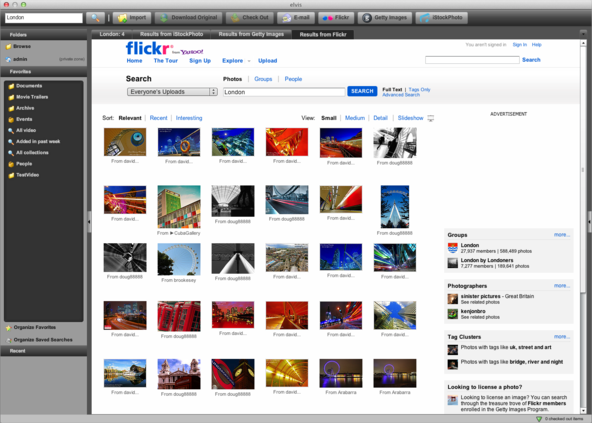 Figure: The Flickr Web site. 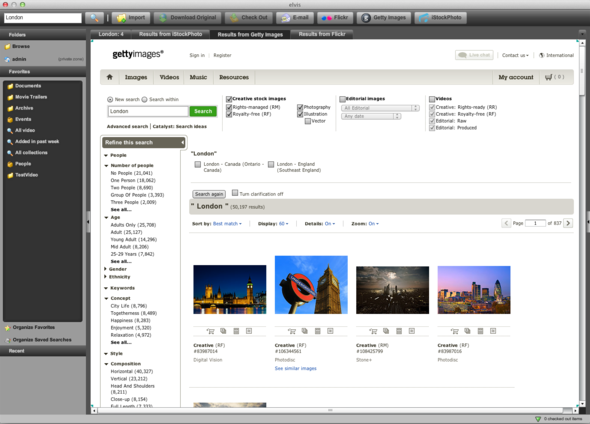 Figure: The Getty Images Web site. Figure: The iStockphoto Web site.